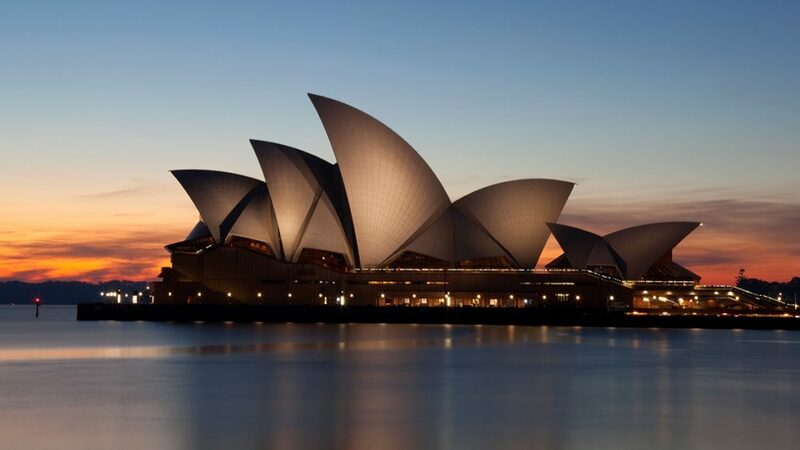 Experience the many layers of Australia’s most iconic city and learn the stories behind its famous structures, including the Sydney Opera House and the Sydney Harbour Bridge. Get swept up in the history and atmosphere of other Sydney highlights, including The Rocks, the Manly Ferry and the Blue Mountains on the city’s fringe – famous for its World Heritage-listed landscape. Along the way, discover Australia’s indigenous and colonial heritage and immerse your students in history, culture and adventure. Walangari Aboriginal Experience Enjoy an authentic aboriginal cultural experience with an Aboriginal elder, teacher and artist and performer on this unique Walking Tour. You will see some ancient Aboriginal rock carvings and traditional Aboriginal bush foods and medicines. Hear about the history of Bondi, from its pre-historical geological formation and how the Aboriginal people used its bountiful resources, to its place today as one of the world’s most iconic beaches. Tour will finish at the beautiful Bondi Pavilion with a didgeridoo performance. Sydney Opera House Be led through every aspect of the building's 14-year creation and 58-year history. Delve into the stories behind Danish architect Jørn Utzon's masterpiece. What inspired his revolutionary design? How did he solve its engineering challenges to realise his vision? Run your hands over the world-famous shell tiles, take a seat in the elegant custom-made white birch timber chairs and marvel at the vaulted ceilings. Visit areas off-limits to the public and capture photographs from rare vantage points. Ferry Enjoy views over the harbour whilst enjoying a ferry ride to Sydney’s Fort Denison. Fort Denison Fort Denison was once a small, rocky island referred to by the local Aboriginal people as Mat-te-wan-ye, also spelt Muttewai. Fort Denison has been used as a fishing spot, defence structure, navigational guide, tide gauge station, weather station, time marker and now a restaurant, event space, battery lawn and historic museum. From 1906 to 1942, the 1 o’clock cannon was fired each day to enable sailors to correctly set their ship’s chronometer to the local time. The firing of the cannon was stopped during World War II to avoid terrifying Sydney- siders and was later resumed in 1986. Still to this day the cannon is fired at 1 o'clock by the National Parks Guide. The Rocks During a 1.5 hour walking tour you will discuss accounts of past times expressed through events and the interpretation of significant sites, observe and analyse the heritage of Sydney’s past and its present day and identify the stories and events that relate to the interaction between the people that lived here in this unique built environment. Blue Mountains Enjoy a full day tour to the spectacular Blue Mountains. Waradah Aboriginal Centre Experience a celebration of aboriginal arts and culture. Scenic Cableway and Railway Experience breathtaking views while on Scenic World’s Cableway, Railway and Skyway rides. Chinese Garden of Friendship Take a guided tour of the Chinese Garden of Friendship in Chinatown. Educational programs Take part in educational programs at Sealife Aquarium and the Australian National Maritime Museum. Sydney Harbour Bridge Pylon Lookout Take a ride on the Manly Ferry and then admire views of the Harbour from up on high at the Sydney Harbour Bridge Pylon Lookout. Quarantine Station Ghost Tour Finish the day with a spooky after-dark ghost tour at Sydney's historical Quarantine Station. Taronga Zoo Enjoy a self-guided tour and educational workshop at Sydney’s iconic Taronga Zoo. Thank you for your interest in our WorldStrides Sydney Tour! Please tell us a little more about yourself so we can get you sent to the right place.